A rescue operation is underway to reach three climbers stuck on Britain’s highest mountain. Lochaber Mountain Rescue Team members were called out for the second time in three days to aid a group cragfast on the North Face of the Ben Nevis massif. 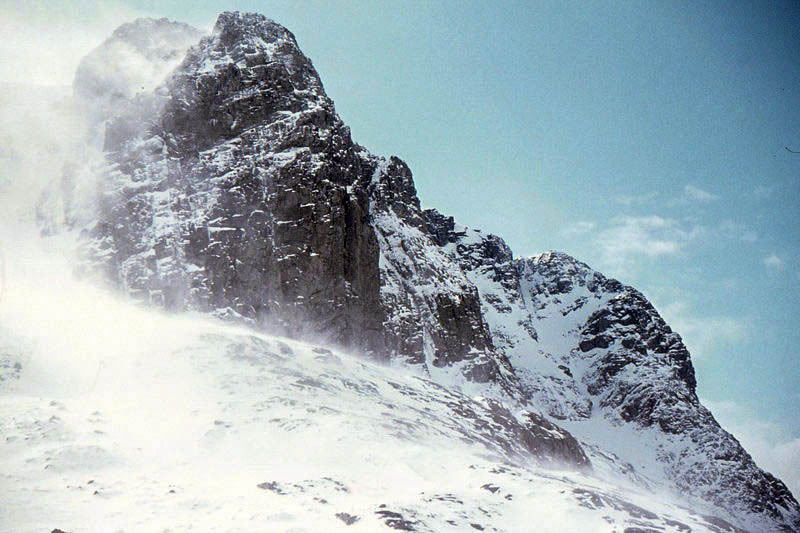 An earlier attempt to reach the trio on Castle Ridge by an RAF Sea King search and rescue helicopter from Lossiemouth had to be abandoned because cloud level dropped on the mountain. Team members are currently making their way to the top of the route on Carn Dearg, the north-western outlier of Ben Nevis, to lower rescuers to the group stuck on the ridge. The callout follows a similar incident on Saturday night when Lochaber team members spend nine hours helping two climbers stuck on Tower Ridge after their ropes jammed while abseiling. Update: Lochaber MRT said the three climbers eventually managed to make their way to the top of Castle Ridge at 8am on Tuesday ‘under their own steam’.